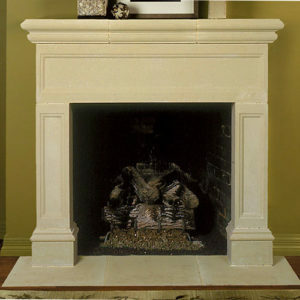 When luxury calls, answer with our Verona cast stone fireplace. As if plundered from the history pages, the unique hand carving and distressed finish of this fireplace mantel harken the old world. Regal griffin carvings keep watch over the family crest while its gentle curvature frames the mantel space. You won’t believe this impeccable manmade limestone is a fraction of the cost of its cut limestone counterparts. Call us to start drafting your free quote!